Climate change poses multiple threats to urban natural spaces and the various ecosystems within them. The scale and sensitivity of these ecosystems will vary; some will be able to shift and expand their ranges and others will struggle to adapt. As damage in these ecosystems and their functions accumulates, their ability to supply ecosystem goods and services—the benefits humans derive from ecosystems—may be diminished. For example, urban ecosystems are particularly vulnerable to the arrival of a growing number of invasive species as changing climatic conditions make it possible for them to thrive, including non-native plants and animals that have no natural predators. It is important to note that the magnitude, timing and location of these losses is difficult to predict, considering that the pace and nature of climate change itself is uncertain. In response, there is a need to build the resilience of urban ecosystems and the cities that surround them so that they are better able to withstand anticipated and unanticipated shocks and stresses. This policy brief* focuses on measures related to urban ecosystems that cities can take to build their resilience to climate change. It focuses on enhancing and using urban ecosystems to reduce exposure to natural hazards and enhance adaptive capacity in a changing climate, underpinning the qualities of a resilient city. It further explores the vast additional benefits that are gained from using the multiple functions performed by urban ecosystems. *The text below provides the key messages and recommendations from the brief and summarises some of the factors that can support resilient urban ecosystems. See the full text for much more detail. Ecosystems and green infrastructure provide human health benefits and critical environmental, social and economic services, and protect against climate shocks. A diverse array of urban ecosystems and habitats can provide ecosystem goods and services, including: green spaces (such as parks urban forests), cemeteries, vacant lots, gardens and yards, and campus areas; and blue spaces, including streams, lakes, ponds, artificial swales and stormwater retention ponds. This list can be expanded to include green infrastructure (e.g., green roofs), which is defined as natural vegetative systems and green technologies that replicate the functions of ecosystems and provide society with a multitude of benefits. Environmental benefits. Natural spaces such as urban parks, green walls, green roofs and street trees provide a number environmental benefits: they offset the urban heat island effect, improve air quality and reduce air temperatures through shade, thereby reducing energy use for cooling. Ecosystem services within and around cities can provide insurance by helping to buffer against many disturbances, such as flooding and storms. For example, urban wetland ecosystems can act as filtration systems, treating stormwater to reduce pollution while simultaneously offering amenity value. Natural spaces and green infrastructure can reduce soil erosion and protect river banks as well as help manage water quality and quantity by reducing total runoff, including untreated runoff, before it enters water bodies. Moreover, ecosystems play a vital role in cycling and storing carbon for climate regulation. Social benefits. Urban natural spaces provide mental and physical health benefits. Access to green space has been linked to reduced mortality and improved mental health. In urban areas, vegetation helps to significantly reduce air and noise pollution, positively affecting health. In addition, natural spaces provide an excellent opportunity for education and citizen’s involvement in their communities, which in turn can promote development of a stewardship culture and create opportunities for residents to be meaningfully engaged in planning processes. Economic benefits. Urban ecosystems and green infrastructure, which can be combined with engineered infrastructure or other technological approaches, are often more cost-effective than grey infrastructure alone. For example a metaanalysis of 25 studies estimating the monetary value of benefits of ecosystem services in urban areas, based on quantification in biophysical units (e.g. stormwater reduction, pollution removal), estimated that the ecosystems analyzed provided between USD 3,212 and USD 17,772 in benefits per hectare of urban green areas per year. Green infrastructure can also simultaneously provide both climate change mitigation and adaptation benefits, which are particularly beneficial in the context of cities working within limited budgets. Urban ecosystems and green infrastructure provide a large roster of critical ecosystem services that can improve human health and well-being while also buffering against natural disturbances and extreme weather events. Maintaining a sustainable and vibrant supply of these services in the face of climate change and other threats is therefore essential toward fostering resilience. Ensuring a resilient supply of urban natural spaces to maintain and increase their quality, quantity and diversity. Expanding and making active use of natural spaces and green infrastructure. Building Robustness: Since urban ecosystems must thrive in a variable climate, it is important to integrate uncertainty and change into municipal management processes while ensuring sustainable delivery of ecosystem services. This can be translated into the practical techniques outlined in the brief (see full text). Promoting Redundancy: Increasing green spaces and green infrastructure addresses multiple challenges and offers multiple benefits. They often turn out to be more economically viable, even under prevailing economic models, provided that the multiple services and associated benefits for the large number of recipients in cities are properly quantified and recognized. Encouraging Resourcefulness: Local governments can provide opportunities for active civic engagement through community gardens, residential gardening, greening programs, land acquisition and restoration, and advisory committee participation. These initiatives can provide opportunities for educating young children and transmitting local ecological knowledge. They can also create a strong sense of place, which was found to be a major driver for environmental stewardship. 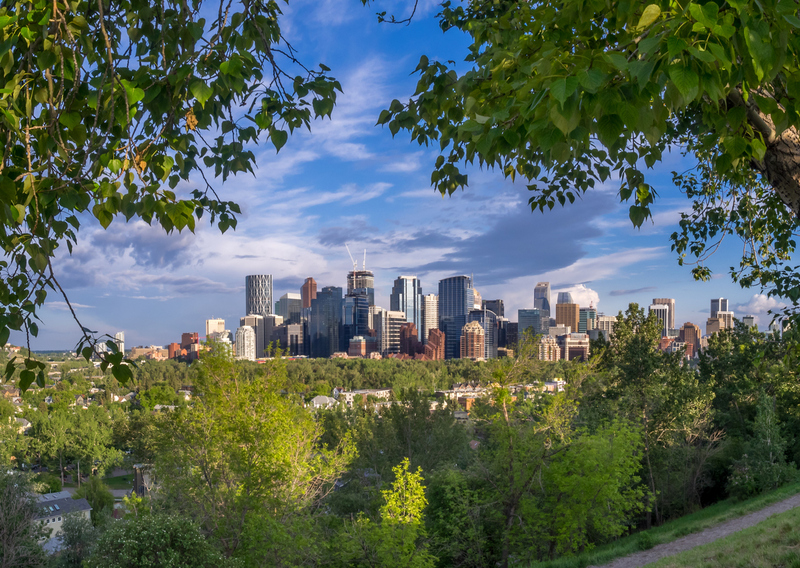 How Canada is and could be building robustness, promoting redundancy and encouraging resourcefulness in urban ecosystems is discussed in much more detail in the brief. To read more about applying the above principles to ecosystem resilience in an urban resilience-building context, please refer to the full text. Assess natural urban spaces to gain knowledge and a better understanding of the current distribution, abundance, trends and status of biodiversity and natural areas. Assessments and long-term monitoring are essential to the protection and resilience of natural spaces. Actively consider restoration and rehabilitation projects to assist in the recovery of natural spaces that have been degraded, damaged or destroyed, particularly along migration corridors, to encourage movement of species. Restoring degraded ecosystems has been an important tool that contributes to reducing vulnerability to natural hazards, enhancing ecological networks and improving the quality of life in many large urban centres. Due to the potential for significant environmental change in the future, adaptability is a key component that should be integrated into natural spaces management. This means that actions and initiatives should be taken in response to actual or projected climatic changes, thus reducing the effects of climate change on natural systems. This could include guidelines for planting and selecting vegetation that is adaptable to a changing climate. Consider capacity building and professional development for involved professionals, such as road authorities, to better enable them to take steps toward mainstreaming green infrastructure in city planning and investment decisions. Consider ways to introduce or enhance assessments, approval processes, development limitations, surcharges, fees, incentives and rebates as well as by-law enforcement mechanisms within local regulatory regimes to ensure the sustainable management and protection of natural spaces. Integrate biodiversity and green infrastructure guidelines into city planning, streetscape design and planning to mimic natural habitat and functions. Integration is particularly encouraged when replacing ageing infrastructure. Examples include bioswales, constructed wetlands, stormwater detention ponds, rain gardens, tree-lined streets, permeable pavement, and green roofs and walls. Consider integrating urban ecosystems and natural infrastructure into asset management programs to help ensure ecosystems function properly and yield expected environmental services. Consider regulatory compliance for developers to ensure that new developments integrate natural features and capitalize on opportunities to create and enhance green infrastructure and natural landscape features. Explore and identify incentive or subsidy programs to encourage developers to integrate natural features and green infrastructure into new development. The benefits of such incentive programs have been demonstrated by initiatives such as Toronto’s Eco-Roof Incentive Program. Engage citizens in neighbourhood and city planning processes and promote learning opportunities. Connecting urban residents through public engagement with nature will build awareness and ecological literacy. Cities should advertise best management practices for naturalizing private property and consider homeowner grants to enable their implementation. Promote nature and biodiversity programming in schools and support programs that encourage students to learn about natural spaces and biodiversity in their cities.